Myths and related stories describe essential human experience which, requiring use of the imagination, reconcile and give voice to fantasy and reality. Speaking through images which embrace the paradox of possible and impossible, the likely and the desired, they stimulate our personal expressive abilities in a way quite distinct from the absorption of prescribed images which television and radio present. This book is concerned with rekindling that creative power of the human imagination which in the West has atrophied through neglect. It is concerned with increasing an understanding of the need to exercise our imagination as one of our psychic functions, as well as the need to exercise our bodies. This book contains myths and tales from all over the world which are grouped around seven themes, all reflective of forms of human experience. 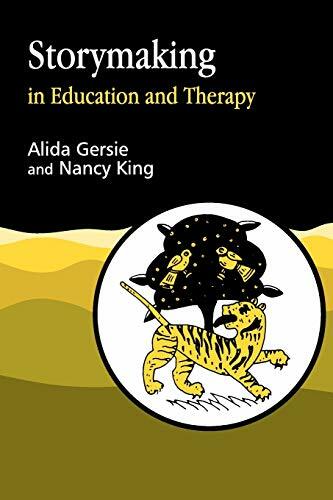 The authors suggest ways in which these myths and tales can be used to develop our imagination's original and unique voice through educational and therapeutic encounter, and how this expression can be communicated to others who are engaged in the same task.